What can you expect from your Manhattan white collar crimes attorney? Do you need a New York Grand Larceny lawyer to help you through your legal troubles? Grand Larceny consists of non-violent white-collar crimes with varying degrees of severity. If you were involved in the theft of property such as money, a debit/credit card, or a vehicle, the degree of Grand Larceny dictates your punishment. The higher the value of the property stolen, the higher the degree of Grand Larceny one is subject to face. While the offense is quite severe, a New York Grand Larceny lawyer can help you navigate the legal atmosphere every step of the way. If you are unsure whether you should speak with a Grand Larceny lawyer, read on for the top 10 reasons you should. Due to their knowledge of Larceny Law, a Grand Larceny lawyer may negotiate a lower fine, however, this does not come without drawbacks. Accepting a fine is an admission of guilt, and lower fines may come with added charges, such as jail time or probation. Depending on financial situations, these may be more favorable outcomes. 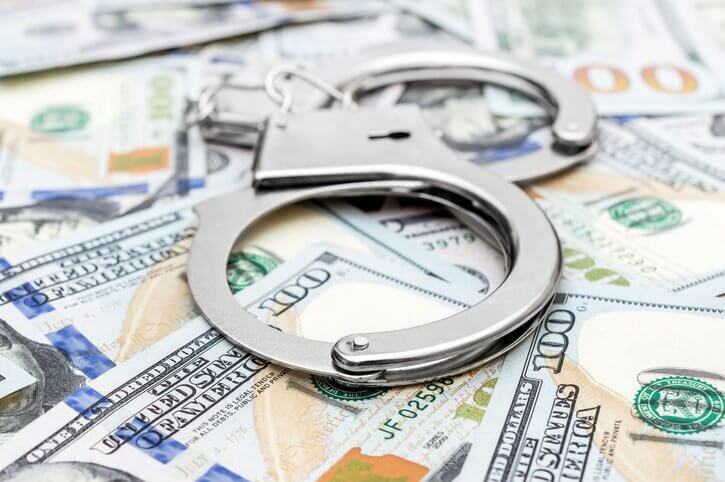 In similar ways to reducing fines, a Grand Larceny lawyer may negotiate reduced sentence time by filing a motion after conviction, which can be requested on any number of grounds. The lawyer would compile a compelling case for these grounds to be accepted, but they usually come with extended probation time or a fine. The primary reason for hiring a Grand Larceny lawyer is gathering a defense. The defense is used to find loopholes or facts that dispute accusations and ultimately are designed to find defendants not guilty. Law specialists, such as Grand Larceny lawyers, can piece together tighter cases due to their in-depth knowledge of Larceny law. Grand Larceny as a white-collar crime can come with numerous severe penalties. An expert in Grand Larceny puts defendants in a situation where they can defend themselves properly thanks to in-depth knowledge of the law and courtroom practice. A Grand Larceny lawyer can help defendants maintain their professional license or employment by proving that their crime is not connected to the defendants’ line of work, or, through their defense, show the defendant is not a risk to the public. An expert in Grand Larceny laws can speed up the trial process or circumnavigate one altogether by putting together a plea bargain in pretrial. This can lead to lighter settlements in exchange for a guilty plea, saving defendants months in jail before their court date. Due to the knowledge of past cases and similarities between sentencing procedures, Grand Larceny lawyers can help measure expectations of defendants in terms of jail time, fines or probation. This enables defendants to prepare themselves properly if they find themselves in prison or on probation, or gather money for penalties. A Grand Larceny lawyer will have past knowledge of how these cases tend to play out in their court system. They can hold their client’s hand through jail or bail, and also prepare them for what to expect during pretrial and in court. Above all, a Grand Larceny lawyer can ensure their client’s rights are protected to the highest degree possible. Their knowledge of the law can guarantee the defendants’ rights are not infringed upon and protect them from unlawful decisions at the hands of the police or court. Knowledge of previous cases is hugely important as it can mean the difference between an innocent and a guilty verdict. Past cases will serve as examples in pretrial and court to either prove innocence or negotiate a lesser sentence, ensuring similar situations are handled in concise ways. If you are looking for a New York Grand Larceny lawyer speak to Troy A. Smith, a white-collar crimes specialist. Call (914) -358-1433 for a free consultation today. A member of our staff is ready to help in your time of need.